Two Dozen (24) Original Victorian Brass Brooch Backs Findings -- FREE USA Shipping! 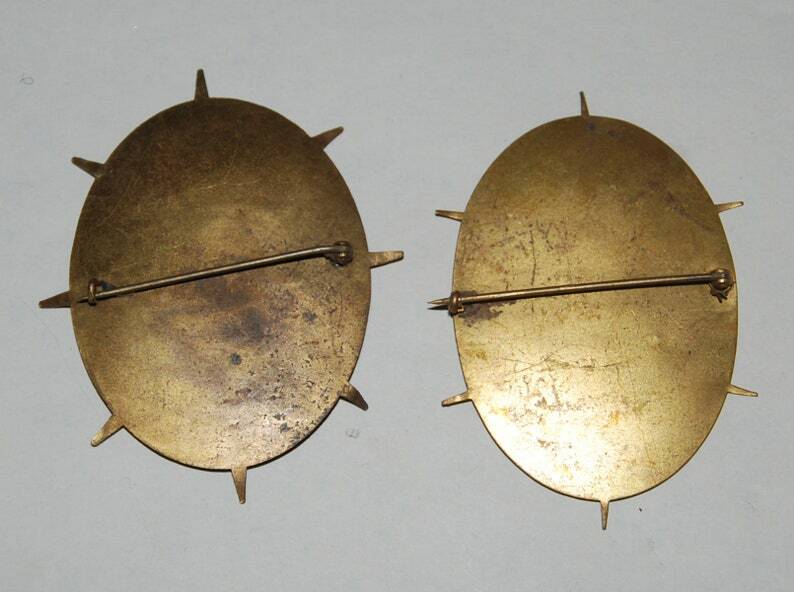 These brass findings are unpolished and many still retain their original laquer finish. There are one dozen each of two slightly different styles: the pin of one style extends beyond the diameter; as well as slightly different sizes. These were produced to house hand painted porcelain plaques popular at the turn of the last century. Please view all pics for detail and sizes but be aware that sizes pictured on both are only close approximations. Original Victorian Brass Hand Bill or Letter Clip -- Free USA Shipping! Victorian Edwardian K&O Brass Inkwell -- Free USA Shipping! Two Early 1900s Self Help Booklets to Make You Money -- Free USA Shipping! 1960s era Paisley Pattern Tootal Rayon Scarf -- Free USA Shipping! 1930s-40s Fantasy Paisley Pattern Necktie — Free USA Shipping! 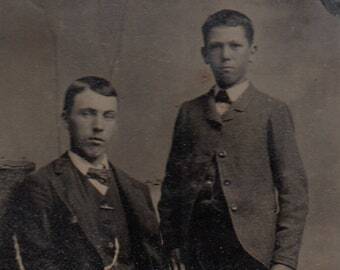 1880s Era Job Lot of Tin Types of Men -- Free USA Shipping! 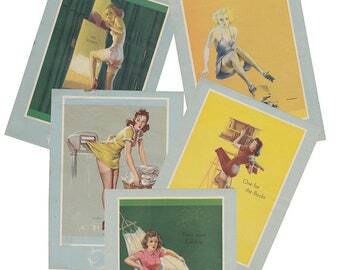 1950s era Pin Up Calendar Art Elvgren Frahm — Free USA Shipping! 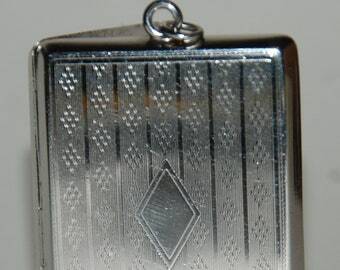 1930s-'40s Sterling Silver Elgin American Portable Picture Frame -- FREE USA Shipping! 1950 felt pennant souvenir of Washington DC plus 1950 Gettysburg PA— Free USA Shipping! 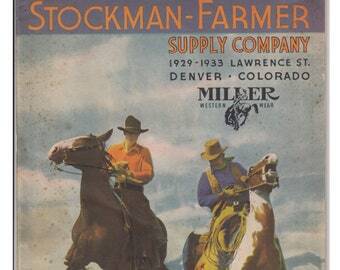 1936-'37 Cowboy Western Catalogue for the Stockman-Farmer Supply Co Denver -- Free USA Shipping!